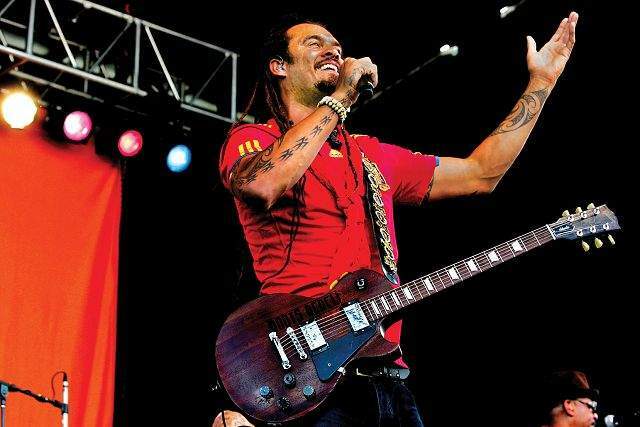 Michael Franti addresses the crowd in between songs Sunday at Three Springs where he performed with his band Spearhead. 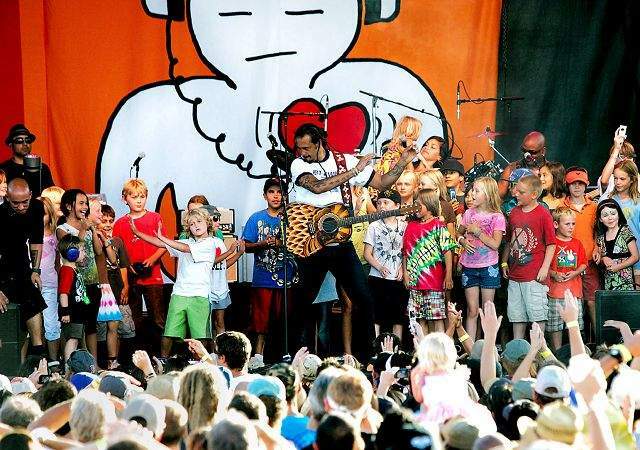 Michael Franti invites children onto the stage to dance with him during the concert Sunday with his band Spearhead at Three Springs. Promoter Tami Graham said more than 2,900 tickets were sold; children under 12 were admitted free, and she estimated that the number of children on hand swelled the total attendance to more than 3,000.